Snagging is simply the process of making sure everything in a new property is as it should be – checking for faults and defects. You could do it yourself, or, as many do, employ a professional ‘snagger’ to do it for you. Don’t let Brexit and sudden exchange rate swings cause you to lose money. All you need to do is to lock in the same exchange for up to a year – find out how in the free Property Buyer’s Guide to Currency. The snagger will first check the property against its specifications, to see if anything is wrong there. Then, they can check the structural elements, large and small, but also other aspects that a house survey wouldn’t necessarily, such as doors that don’t close properly or a fitting that’s a little off. Generally, you’ll be looking at around £300 to £600, although you could also get it included in the purchase price if you’re doing a self-build. It’s not that expensive for something making sure a property worth hundreds of thousands is what you want, so we’d highly recommend adding it into your budget. For further advice on purchasing a property in the UK, call our friendly Resource Team in London on +44(0)20 7898 0549 or email info@propertyguides.com. We can help answer questions and put you in contact with trusted lawyers, estate agents and currency specialists. What are the main things a snagger will look out for? It’s almost impossible to provide an exhaustive list, but there are some main areas it’s definitely crucial to look at. Firstly will be quality of finish. Are there any joints showing through where they shouldn’t? Is mortar of an even finish? Is all plaster even and smooth? Do all locks and hinges work properly? Outside, is the driveway smooth? Is turf level and are there suitable drainage facilities? Do garden/driveway gates open, close and lock properly, and are spaces easily accessible? Look out for small defects as much as large when snagging. Inside, is all paintwork and decorating finished, including in areas you wouldn’t normally see, such as underneath windowsills or mantelpieces? Is everything securely put in place or are any handrails or banisters wobbly? Are there any gaps between skirting boards and floors or are they tightly fitted? What happens if something is amiss? You or your snagger should report the faults to the developer, who will need to fix them if they don’t fit the specification you’ve agreed and paid for. If you do notice anything further down the line, and you’ve lived in the property between two to ten years, you can still report them, under the NHBC/National House-Building Council’s warranty, which covers defects on all new-build homes. Don’t miss our free guide, How to Negotiate Abroad. It’s written by a licensed estate agent and is packed with insider tips. The more difficult ones are where they’re ‘borderline’ on what you’ve agreed on as a satisfactory final state. Then, you and the house builder or developer will need to negotiate, so it’s important to keep your reasoning clear and backed up with evidence when you explain why you think something is a fault. We’ve all heard stories of people finding as many as hundreds of faults, but the reason these make the news is that they are exceptional. The majority of homes in the UK are built to high standards, so don’t be put off by sensationalism. 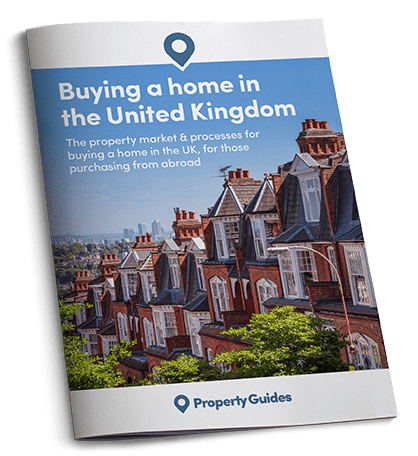 Download your free UK buying guide today to find out everything you need to know about finding and purchasing your dream home here in Great Britain.